Have you heard the name Mikaela Shiffrin? Not likely, unless you’re a big fan of alpine ski racing, a sport that only grabs America’s attention every four years during the Winter Olympics. Over the last decade, alpine ski racers have gotten their fair share of media coverage, thanks to the gold medals won by Bode Miller, Julia Mancuso, Ted Ligety, and Lindsay Vonn, the 2010 AP Female Athlete of the Year (and recent Sharon Stone impersonator). 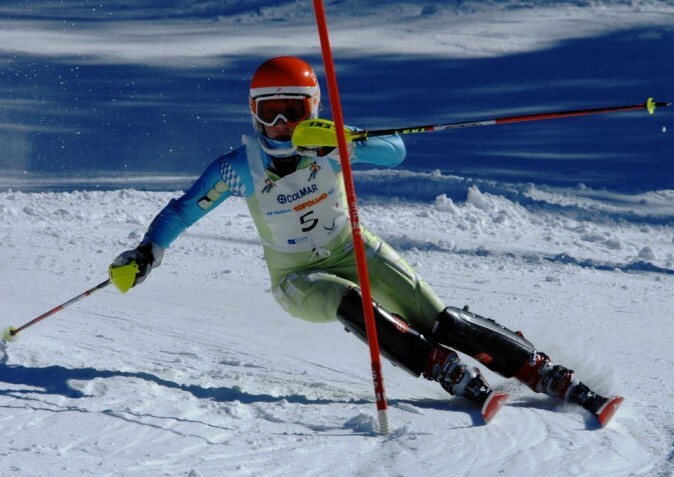 Following in their footsteps is the 15-year-old Shiffrin. At least on paper, Mikaela may be the most phenomenal phenom ever. What, you ask? Greater than the young LeBron James? Comparatively better than the 16-year-old Steffi Graf, Monica Seles, Martina Hingis, or Maria Sharapova? The only athlete whom I can compare Mikaela to is Tiger Woods who, at the same age, was overwhelmingly better than his peers (though other comparisons are best avoided!). I realize I’m making a bold statement, but Mikaela may have the stats to support such an outrageous claim. She entered the international ski racing stratosphere last year at the Topolino Championships, a yearly event held in Italy that brings together the best 13- and 14-year-old racers from around the world. Now here’s where things get freaky and where my declaration may not seem so far fetched. Mikaela won the slalom (Lindsay Vonn won the same race in 1999) by an otherworldly margin of more than three seconds. For those of you not well versed in the sport of alpine ski racing, most races are won by hundredths of a second. More than three seconds against a field of the best young racers in the world? That’s an eternity in ski racing! Mikaela also won the giant slalom, but by a more pedestrian .11 seconds. At the Eastern US J3 Olympics (junior championships that attract the best American racers in that same age group from the East Coast) later last winter, she won the slalom by more than 11 seconds. Yes, you heard me right, 11 seconds! For those of you who know even a modicum about ski racing, that means she had crossed the finish line while the next fastest competitor was still five gates from the finish. This season, being eligible to race in international competitions against an open field (any age group) for the first time, Mikaela’s has been nothing less than “en fuego,” placing in the top 15 in her first seven races against some of the best racers in the world, followed by four top-3 results that included two victories. What made these results all the more remarkable is that, unlike other sports where competitors compete under the same conditions (e.g., a tennis court is the same for both players), those in ski races don’t compete on a level playing field. Lower-ranked racers like Mikaela have to start farther back in the field, in her case, as far back as the 70s, when the snow conditions deteriorate from so many competitors skiing down the course. What this means is that it’s far harder to ski fast and be competitive against the top-ranked racers who have low start numbers and who benefit from near-ideal course conditions. Undoubtedly, Mikaela, who is currently a student at Burke Mountain Academy in the Northeast Kingdom of Vermont (my alma mater), is considered the “next big thing” of women’s alpine ski racing. But this post isn’t about anointing Mikaela as the next female superstar of alpine ski racing. We can’t place the crown on her head until she actually reaches the pinnacle of the sport. And, let’s be realistic, there are no guarantees; sports are strewn with “can’t-miss” kids who, well, missed. Though her results at such a young age are astonishing to say the least, given my background as a former international-level ski racer (I was a “could-miss” kid who did) and my professional involvement in sport psychology, what fascinates me is what enabled her to rise so quickly and how she is so different from many phenoms from other sports, such as basketball, football, tennis, and golf, that we constantly hear about. Additionally, though few young athletes will be phenoms or genuine superstars, I believe that much of what has made Mikaela successful can be of value to all young athletes (and students and performing artists) and their parents to help them fully realize their ability and achieve their goals. And, importantly, success-obsessed parents driven by the win-at-all-costs culture in which we live can learn some real lessons from Mikaela and her parents about how to raise a superstar athlete and great person. I’ve been fortunate to get to know Mikaela in recent years. As a Burke Mountain Academy alum, I’ve worked with BMA racers on the mental side of ski racing of which Mikaela has been a part. Additionally, I’ve known Kirk Dwyer, Burke’s headmaster and her long-time coach (Adam Chadbourne has taken over her coaching this year), for many years. In writing this post, I draw on my own observations and interactions with Mikaela as well as several lengthy discussions with Kirk, Mikaela, and her mother Eileen. The words that come to mind when I think about Mikaela are mature, humble, deliberate, calm, and grounded, not adjectives you would normally associate with a 15 year old, much less an athletic phenom. In fact, the words that seem to best describe so many phenoms we read about these days are cocky, spoiled, entitled, and irresponsible. It’s clear that who she is now is not only a reflection of her parents’ attitude toward her ski racing, but also their values and the way they have raised Mikaela. So many parents of phenoms I have met had this maniacal look in their eyes, expressing their obsession with finding that pot of gold at the end of the sports rainbow. These parents’ lives become singularly devoted to realizing their children’s (and their own) athletic dreams. Like most early successes, Mikaela’s parents Eileen and Jeff were active in guiding her development. But, unlike many sport parents, my discussions with Eileen, a practicing nurse, found her to be unusually grounded in her attitude toward her daughter’s development as both a ski racer and, more importantly, as a person. And being a good person is more important to her parents than being a great ski racer (really!). Yes, she and Jeff, an anesthesiologist, expect a lot of Mikaela, but those expectations are based in having a healthy attitude and giving her best effort. There’s almost no talk in the Shiffrin household of results, rankings, or future goals. Okay, Mikaela admits that she does have big goals, for example, winning World Cup races and Olympic gold, but they’re mostly unspoken, just running in the background of her psyche. For many phenoms, their heads are so high and obscured in the clouds, thanks to parents, coaches, and other enablers, that they couldn’t see terra firma if they wanted to. In contrast, Mikaela doesn’t have a prayer of her feet becoming dislodged from the ground. When I asked Mikaela how she stays so grounded, she said that her parents are strict, they have a very close family and live a “small town” life, and she was always expected to be respectful and appreciative. Burke Mountain Academy has also played a big role in keeping her feet on the ground. Even with all of her successes, when she returns to campus, she’s just another student who has to attend classes, clean her dorm, and do kitchen duty. Unlike young superstars in other sports, Mikaela receives no special treatment and lives a pretty normal life. And, not surprisingly, she’s universally liked at Burke and on the racing circuit; she’s considered a good friend, a good teammate, and a good sport. In our recent conversation, I asked Mikaela what her greatest strength as a ski racer is and, much to my pleasure, she said her mental approach (her coach and mother agreed). Mikaela owns her ski racing and her parents are only there to support her. That ownership gives her incredible motivation to achieve her goals; she’s the first one on the hill and the last one off. Rare among young athletes in my experience, neither Mikaela’s attitude nor work ethic has been tainted by her remarkable success. She is voracious for knowledge and improvement, and she’s a real student of the sport. Despite her great successes, she never rests on her laurels and is always looking for ways to go faster. As a result, Mikaela is eminently coachable and a joy to work with. Not surprisingly, Mikaela is incredibly confident, never harboring doubts about her ability to ski fast. But her confidence is based not on her past results, but rather her past preparations. And, remarkably, Mikaela has no ego; she’s humble, respectful, and considerate. Quite a contrast from other phenoms we encounter who are so full of ‘tude, bluster, and self-aggrandizement (all of which actually indicate a profound lack of confidence). So, will Mikaela Shiffrin be the next female superstar of alpine ski racing? We’ll surely find out in the next few years. But as someone who has been involved in this and other sports at a high level for many years, I can say unequivocally that Mikaela, her parents, and her coaches are doing all the right things to help her realize her dreams. And one last thing I know for sure: whatever level of success she attains in her ski racing career, when it’s over, Mikaela will be who she is today: a great athlete and a great person. I hadn’t heard of Mikaela Shiffrin, but judging by your article I’m guessing that will change for me and many others in the near future. I watch ski racing on TV whenever I get the chance, and I’ve always loved it, particularly the downhill event. I’ve always liked Bode Miller, obviously for his incredible technical skill, but also for his full-speed-ahead approach to not only sports but everything else in life. Gotta love a guy like that! I’ve seen a lot of terrible falls and serious injuries in Alpine ski racing; I guess it’s inevitable given the speeds and the conditions under which racers compete. It’s always sad to see a young athlete suffer a career-ending injury (in any sport) after all those years of incredibly hard work. I certainly hope Mikaela can avoid injuries like that. It would be nice to see someone as phenomenal as Tiger Woods in her sport. Great article. It confirms what us coaches at the grass roots, club program level have been saying to our athletes. I often use Mikaela Shiffrin as an example, as much for her skiing abilities as for her attitude and work ethic.